In the comment section of a recent ANP article a question was asked which has led to a number of emails back and forth between myself with a game store owner regarding some strange bulk purchases of Xbox 360 Kinect sensors, in conjunction with recent national reports of bulk purchases of pre-paid cell phones, missing propane tanks and stolen remote controlled cars. Before going forward let me say that the store owner was very forthcoming with information, providing me details that allowed me to confirm this commenter is, in fact, the owner of the game store in question as well as the type of merchadise sold and the fact that the store, while individually owned, is under a lease agreement with a larger chain. The store in question is in Arkansas. For safety and professional reasons ANP has agreed to not reveal the store owners name nor the name of her business. 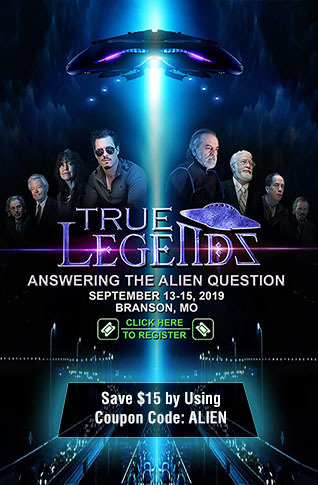 The question from Ozarkana was "Y'all, I have a serious question here. Can someone who is knowledgeable about video game systems, please, tell me what someone could use 2,000 Xbox 360 Kinect sensors for? Two middle eastern men went through Texas, Louisiana, Arkansas and Oklahoma recently and purchased over $40,000 worth of these xbox accessories from video game stores. I can not understand if these could be used in a destructive manner; but, could this have anything to do with the cell phones, remote cars, and propane tank acquisitions? This has really been bothering me." In a follow up comment as the topic was discussed, Ozarkana stated "These were all purchased in less than a week." Via the communications back and forth with Ozarkana we find out that the sales of the Kinect sensors that could be tracked by Ozarkana, by contacting regional managers in other locations, occurred at the store chain associated with the one owned by our source. We have no way of knowing how many other different game store chains this could be happening at. These middle eastern guys tried to use a tax exempt form; and, one of my newer employees told the other one that they would have to call me about how to do it since neither of them had done a tax-exempt transaction before. The "customers" said that they didn't have time. They were on their way to [Redacted], about 80 miles to the West of us. This is actually what prompted me to call the 2 [Redacted] stores in [Redacted] and ask them about any unusual Kinect sales that they had. I am an independent store owner; but, the other stores are corporate stores; so, I called their regional manager; and, started asking questions. The regional managers had been comparing sales information. This is how they came up with the 2,000 sensors sold. There could have been even more than that if all of the stores in Oklahoma had similar transactions, as well. After talking to my friend with the FBI, I contacted the Bureau in Little Rock. They sent a young man to talk with us. He was given a copy of the receipt and of relevant footage from our store security cameras. I gave them contact information for the regional manager over the other stores. There was nothing said about not talking about this; but, we pretty much dropped it until the recent big purchases of other electronic devices that started me to wondering and questioning. In a follow up email I have asked how it was determined the men purchasing the Kinect sensors were middle eastern, the response was "We could tell that the men were middle eastern by their appearance, accent, and the names on the credit card. " I also asked if the FBI indicated the would be following up on the information. The response was "We did not have any indication from the FBI that this information about the Kinect sensors was significant in any way or that they would be contacting us at any point in the future." ANP is still in contact with the store owner as to whether we can get any video footage or screen shots from their footage, this will be updated with those images if it can be provided. Update- In a follow up email, we are informed this incident happened in August and it was the reports of the bulk pre-paid phones and missing propane tanks that made the store owner start questioning these strange bulk purchases. Kinect (codenamed in development as Project Natal) is a line of motion sensing input devices by Microsoft for Xbox 360 and Xbox One video game consoles and Windows PCs. Based around a webcam-style add-on peripheral, it enables users to control and interact with their console/computer without the need for a game controller, through a natural user interface using gestures and spoken commands. BerniMac: I don't know about the total number of them but you can actually see through walls with the kinect. Not completely through the wall but it's entire structure wood nails plastering etc. It can also be used as an Xray device. Have no idea if this is the intended use but.. http://www.dailymail.co.uk/sciencetech/article-2503474/XBox-One-Kinect-camera-clothes-detect-anatomy.html"
That link led to a Daily Mail article from November 2013, titled "Xbox Kinect sensor goes X-rated: Device is revealed to detect every part of the anatomy - even parts you might want to keep covered." It can read up to six skeletons at once, compared to the current two, and its 'small object detection' is said to be two-and-a-half times better. 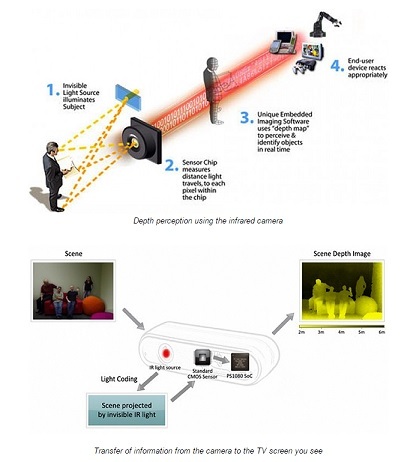 The second-generation Kinect sensor is also able to see faces, track eye movements and detect expressions.It is additionally said to be better at recognising features and body movements in the dark and dimly lit rooms because it uses what's called active infrared (IR). IR works in a similar way to thermal imaging and is used in night-vision goggles, for example. FreedomDad points out possible uses - These are lasers that read body heat, which in return allows the the game system to see your active movements. This could probably be converter to a crude type of night/ heat vision. They would work best in cool/ cold environments like winter were currently headed into. They will use these sensors connected to cameras that will feed remote to an off site operation base. They will be attached to the stolen remote control cars and drones, and likely contain an explosive. I.e pipe bombs and strategically placed propane tanks. Remember they are amoung us and ready to kill us. You cant be too prepared, care your gun and stop the shooter yourself. Police take too muck time to respond. I hope this helps. Good luck and God bless." After some back and forth on this issue, Ozarkana stated "The xbox 360 kinect sensor has an infrared laser projector and provides full body 3-D motion capture, facial recognition, and voice recognition. I know what it is-- I just don't understand how or IF it can be used in a terroristic way by the individuals who purchased them." Being technically challenged in these matters, I reached out to a trusted source to get answer to that very question and the answer was highly disturbing as our source states "When coupled with a timer these sensors could be placed to detonate pre-positioned IEDS against people." Note our source said "could," because without being privy to the connections and thought processes of those purchasing the Kinect sensors, or the bulk purchases of pre-paid cell phones in Missouri, or those that stle the dozens of propane tanks and remote controlled cars, we cannot know with 100 percent confidence what they plan to use any of these items for. What we can say is purchasing these types of devices in bulk is not normal behavior. With that said, had witnesses come forward, without the fear of being labeled "racist" about the comings and goings at the home of the San Bernardino killers, and had the jihadi leanings of the couple been reported, and radical social media commentary been connected, before the San Bernardino massacre, those that died might still be alive. It is the opinion of ANP that all the puzzle pieces be put out there, all the possibilities be discussed with the hope that more people will be aware, be vigilant, speak up and speak out when something occurs locally that concerns them, because there is no way knowing what piece of the puzzle will finally connect the dots and it is possible that when seen all together, lives might be saved. An attack against Americans in the U.S. may be foiled. We would like to thank our store owner for bringing this to our attention, for having the curiosity to follow up with other stores' purchases and the courage to step forward and speak out. We also would hope that if other store owners or employees of other game or electronic stores are noting these same types of purchases, in bulk, that they will also step forward and report it. The videos below explain the Kinect sensor with the first one bringing our attention to the fact that this device is capable of "creating a full 3-D map of a room." The next is short and shows how the heat sensors work. There are number of other videos on Kinetic sensors at YouTube.